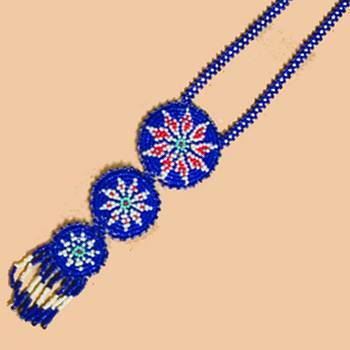 Beaded rosette necklace, graduated triple. Great gift item or used to complete any dance outfit. Please note: Colors are assorted and designs may vary.